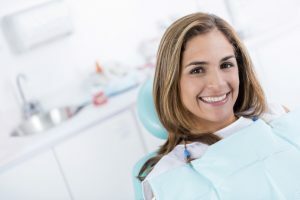 Should I Get a Dental Implant or a Dental Bridge? What’s the Difference? When you’re suffering from tooth loss, your quality of life and confidence take a huge impact. When even one tooth is missing, you no longer have proper oral functions. In addition, your remaining natural teeth no longer have adequate support. As a result, your teeth will begin to shift overtime, making them more prone to tooth decay and gum disease. Eventually, your teeth will become loose and may even fall out. To restore your smile and your oral health, you need to replace your missing teeth. Now, advancements in dentistry offer various options for tooth replacement. Among the most common options to replace a missing tooth is with a dental implant or a dental bridge. A dental bridge is among the most commonly used forms of tooth replacement because it’s convenient and affordable. A dental bridge essentially acts as a bridge between the natural teeth, filling in the space of the missing tooth with a prosthetic. The bridge is then anchored in place using crowns, which are caps that are placed on the adjacent teeth. The process to receiving a dental bridge is easy, affordable, and requires no surgery. However, while a bridge is effective, you will need to have a new bridge made in the future. Plus, your remaining natural teeth are subject to decay from the crowns. While a bridge will provide your remaining teeth with support, it won’t stop bone loss. A dental implant has quickly become the preferred option to treat tooth loss. Implants are a permanent form of tooth replacement that look and function like a natural tooth. To benefit from implants, you will have to undergo a surgery to have an implant post placed into the jawbone. The post acts as a tooth root, providing a sturdy foundation for a dental crown, which is attached to the implant post using an abutment. With dental implants, you’ll have a life-long solution that never needs adjustments. You’ll regain natural oral functions while also promoting your oral health. The implant post stimulates your bone. As a result, you’ll stop and prevent bone loss, allowing your remaining teeth to stay firmly in place. In addition, you’ll maintain proper facial structures. There are several factors that are considered to determine which is the best option of tooth replacement for you. Your Juno Beach dentist will evaluate your tooth loss and oral health to create a treatment plan. If you’re suffering from tooth loss, it’s time to regain your confidence and smile. We will evaluate your tooth loss to determine if a dental bridge or dental implant will best meet your needs. With a customized treatment plan in place, we’ll restore your smile using the latest advancements in dentistry and high-quality care. We’ll deliver the personalized care you need to restore your smile. We believe in enhancing lives through enhanced smile. Let us help you improve your life with a complete smile. Comments Off on Should I Get a Dental Implant or a Dental Bridge? What’s the Difference?